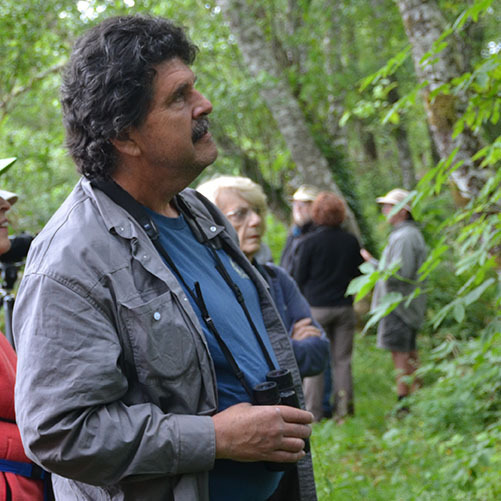 MIKE PATTERSON is a biologist, educator, and professional counter of things—birds, butterflies, fmoths, flowers. “The goal is to take these disparate bits of data, stitch them together, and find some portion of the ecological whole,” he writes. Mike lives in Astoria and blogs about birds and more at surfbirds.com/community-blogs/northcoastdiaries.